Looking at both plots and attacks carried out, the group tracked 201 terrorist incidents on U.S. soil from January 2008 to the end of 2016. The database shows 115 cases by right-wing extremists ? from white supremacists to militias to “sovereign citizens” ? compared to 63 cases by Islamist extremists. Incidents from left-wing extremists, which include ecoterrorists and animal rights militants, were comparatively rare, with 19 incidents. 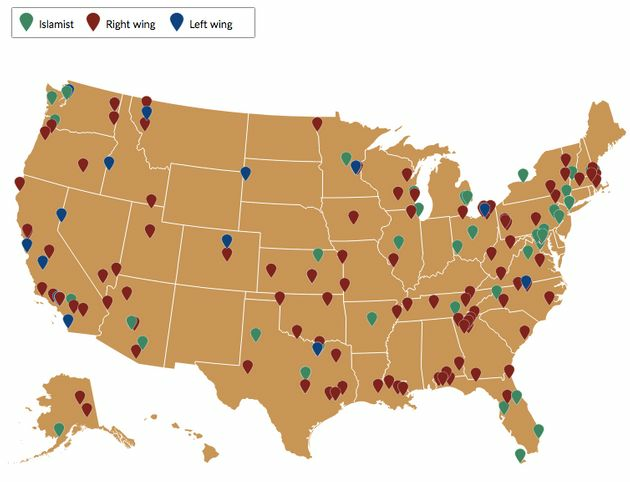 Attacks by right-wing extremists were also more often deadly, with nearly a third of right-wing extremist incidents resulting in deaths compared with 13 percent of Islamist extremist cases resulting in deaths. However, the sheer number of people killed by Islamist extremists ? a total of 90 people killed ? was higher than the death toll at the hands of right-wing extremists ? 79 people killed. 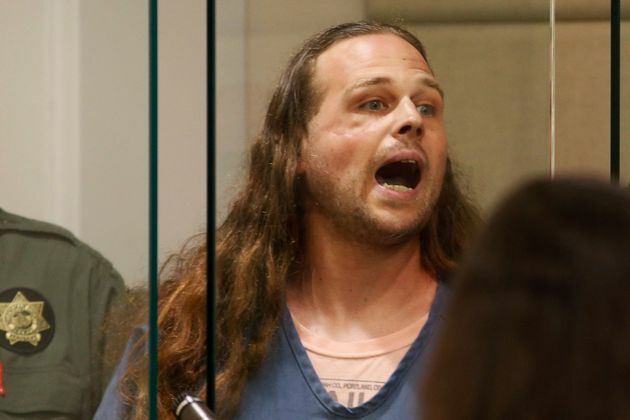 POOL NEW / REUTERSJeremy Christian, accused of fatally stabbings two men&nbsp;who tried to stop Christian from harassing two young black women who appeared to be Muslim,&nbsp;in Portland, Oregon — May 30, 2017. The media has a long history of double standards when it comes to covering terrorism ? starting with how slow mainstream media is to label attacks by white perpetrators as “terrorism,” and quick to label them as such when attackers are perceived as nonwhite or “other” ? and specifically, Muslim. Part of problem is the complex nature of how officials choose to categorize attacks as terrorism. The FBI has specific criteria its uses to classify terrorist incidents ? but the public doesn’t always agree with officials’ labels. For instance, many people condemned the government for not labeling Dylann Roof a terrorist after he killed nine black churchgoers in Charleston, South Carolina, in 2015, even though he specifically said he was there “to shoot black people,” according to witnesses. So far Trump has shown a clear double standard in his responses to terrorism: After Islamist extremists attacked London on June 3, for instance, Trump condemned the violence on Twitter the same day ? but after an attack in Portland, Oregon, by a white supremacist on May 26, Trump waited more than two days before tweeting about it. After the London attack, Trump also called on the courts to reinstate his travel ban on certain Muslim-majority countries ? which was roundly criticized. After the Portland attack, Trump made no calls to change policy to prevent future attacks. But it’s not just Trump that’s the problem. The Fund’s database goes back to 2008 and shows clearly how government resources have been disproportionately dedicated to tackling Islamist extremism over right-wing extremism. The government succeeded in interrupting the vast majority of Islamist extremist terror cases since 2008, for instance: 76 percent of incidents tracked were “foiled plots,” which the group noted showed “a significant investment of law enforcement resources.” When it came to right-wing extremism, only about a third of incidents were interrupted ? 35 percent ? and the majority of the cases included acts of violence that led to deaths, injuries or damaged property. This entry was posted in Disclosure, Redneckia and tagged alt right, right wing, terrorism, united states, white terrorism. Bookmark the permalink.